It was good to see some of our clients making headlines in the show dailies at EBACE 2018 recently. In an overall very upbeat show it was of course Bombardier who gained most of the headlines with their Global range announcements. 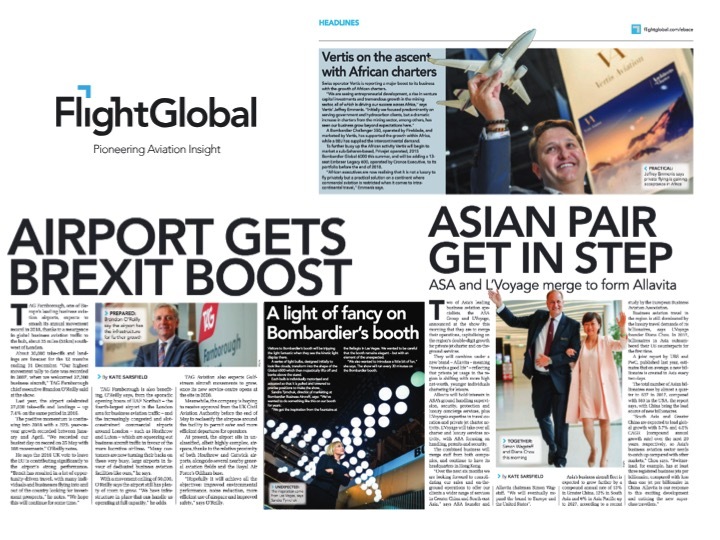 However a number of our other client partners also received good press coverage; TAG Farnborough Airport, Vertis Aviation and most notably the newly launched Allavita who we have supported through brand identity development.